Lot Size: 6992sq. ft. 50ft x 140ft "Rectangular"
Beautiful two story home in desirable Varsity View! This unique home boasts 2370sqft of usable space above grade, large windows and a one bedroom non-conforming suite in the basement. This home has a total of five bedrooms, three bathrooms and an abundance of storage. Recent upgrades/updates include a HE furnace, gas fireplace, gas dryer and stove, some new hardwood flooring, new exterior and interior paint, shingles and some windows. All of this offered on a huge lot with a canopy of mature trees, wonderful landscaping and an over-sized single car garage. 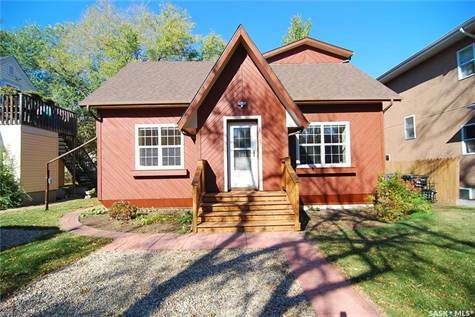 Located close to all amenities, the UofS and the river.